Click Here to Submit Your Own Testimonial! Our Thank You's are just being prepared now, but I want to say we LOVED having you at my daughter's 1st Holy Communion!! The music you played was everything we asked for!!! And the DVD slide show you put together was so BEAUTIFUL!! Made all of us cry with happiness!!! And the kids ♥'d you too, especially with the all the games you played with them!!! Thank you so much again for a great time!!! Thank you so much for celebrating Jacob's birthday with us & providing the entertainment. You guys did a great with djing, "Elmo" & the slideshow! After the party everyone told me how much they loved the slideshow! Everything went perfect & I'm so glad we will have the memory of your family being such a big part of his day! You guys did an awesome job. We can't thank you enough! What a great job Glenn did at our recent Labor Day Party! He interacting with the crowd, accepting all types of requests and was eager to please his 'audience'. He really made the party special in every way and I could not have done it without Destiny DJ's being there! Great Job, Highly Recommended! Just wanted thank Joe Kidd for a great night of entertainment. The kids had a great time. The music was right on target with what the kids wanted. Thanks again Joe for helping to make our sweet 16 event a night to remember. 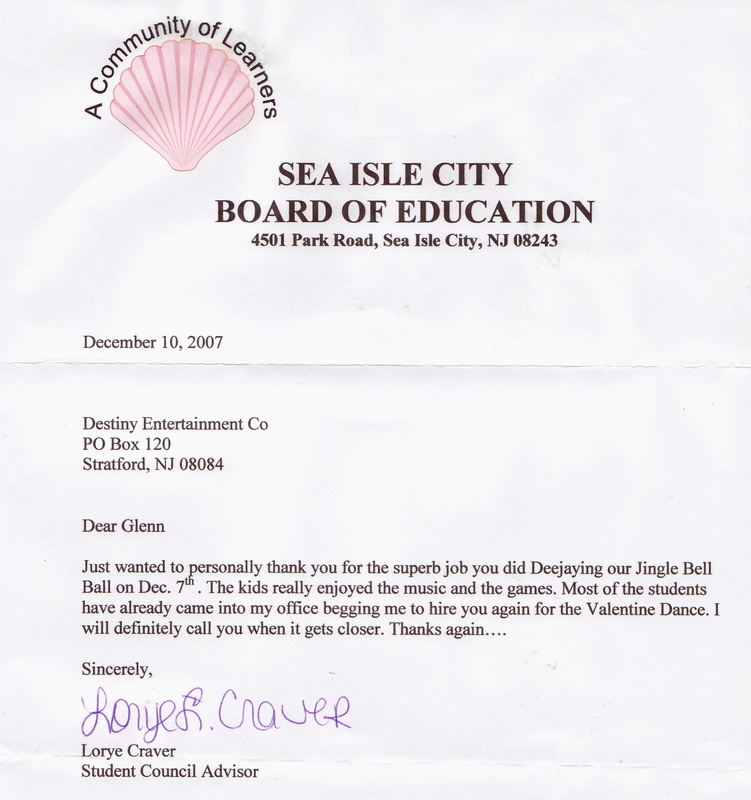 This email is a bit delayed because of our very busy schedule, however I wanted to tell you how wonderful your DJ services were at our Luau held at Seashore Campsites in Cape May on August 16th. I believe you were the DJ but it was an extremely crazy evening for myself so I do not remember. 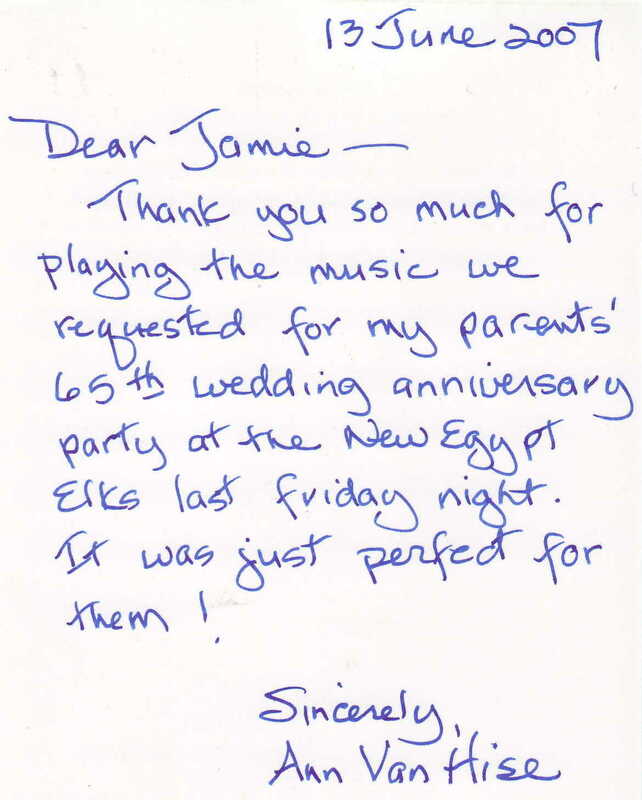 We had a lot of compliments on the DJ entertainment you provided and I was sure to let everyone know who you were. We have had many DJ's come and go in our campground and your company and yourself in particular is by far the best we have ever had. It was so wonderful how you were able to get people dancing in and out of the lake!!! Myself and my co-activities director wanted to let you know that we appreciated your enthusiasm you put forth into helping us to make it such a successful event! We look forward to scheduling you for our Karaoke night and our Luau for the 2009 season! I will contact you in the late winter once we have a tentative schedule of events completed. I cannot say enough good things about Glenn last night. He was incredible and a pleasure. He really made our little event special. You guys are the best, and I am sure, as I still have 6 unmarried daughters, we will be doing alot of things together in the future. Thank You for everything. I want to thank you both from the bottom of my heart. 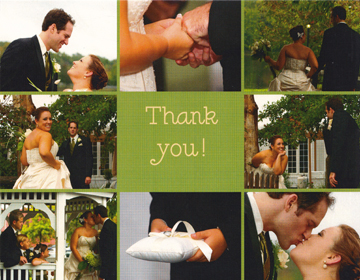 You saved our wedding!! It was very unfortunate that we were lied to by the original DJ we hired, and that he didn’t have the decency to tell my husband and I that he called your company and hired you to do the job we hired him for. Glenn did a fabulous job, especially being he was only given 2-3 days notice about our wedding! 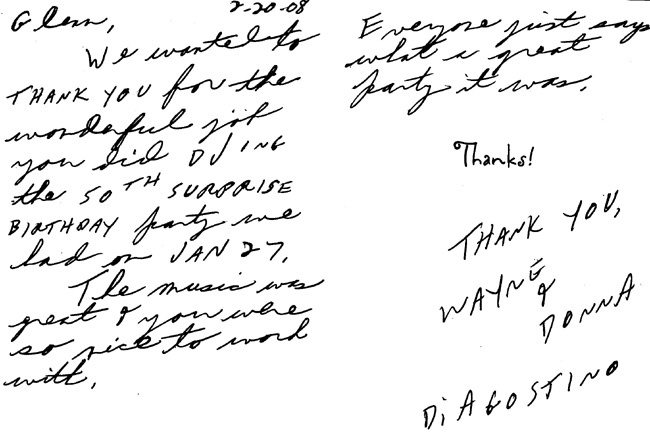 We appreciate the fact that you accepted this last-minute job from our DJ. If you turned the job down, we would’ve been left with no DJ at all. We are so grateful to you for stepping in and not letting our wedding be ruined by having no music! This proves that you are truly an incredible DJ company, and that you are passionate about the work you do and services you provide. 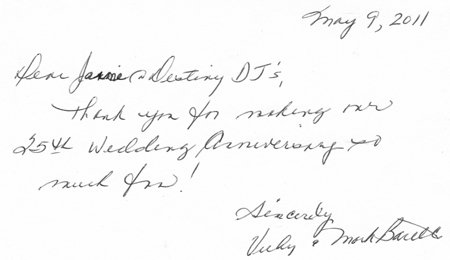 I will gladly recommend Destiny DJs to my family and friends who have upcoming weddings and other events! You did an amazing job, thank you so much for making it a very special evening we’ll never forget! Just wanted to take a minute to let you know how last nights event went - It was a very difficult crowd to pull together since over 60 people at the event were between the ages of 60 and 90. Your DJ Joe did a fantastic job - he played to the crowd with the right dinner music, entertained the kids with great songs and prizes, even had the proper mix for the rest of the crowd. We would most certainly use you again, in fact a few people asked for your card. Joe will have some sent to me and I will distribute. Thanks again for a great evening. Thank you kindly for the excellent service you provided at my event. You and your staff were flexible, prepared, and professional. I would absolutely recommend your company to anyone. Just wanted to drop you a brief note to tell you how much I appreciated your entertainment at our party last Friday night. The guest attendance was a little smaller than I had hoped for but you did a great job of getting people involved, and as you know, that was exactly what I was looking for. Destiny, and specifically you filled the bill perfectly. Again, thank you, and I would never even consider another company other than yours to entertain us. Thank you so very much for the exceptional service this past Saturday night. I was enjoying myself so much I was swept up and forgot to give you a big "Thank you" in person that night. You played all the right songs and the timing was great. I have heard from many of my guests that it was a beautiful event and that they enjoyed themselves. Thank you so very much for working with us and our small budget. You made our wedding a fun and festive night. I will gladly recommend you to all my friends and family. Feel free to stick this Thank You on your website!!! 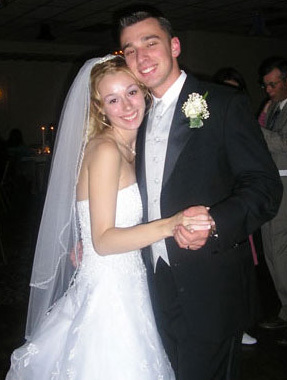 Destiny DJ's made sure that my wedding would go smoothly and beautifully so that my husband and I wouldn't have to worry about anything and I could enjoy the happiest day of my life. 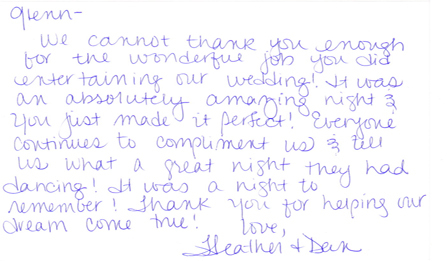 They worked with us and catered to our needs as a couple and we truly appreciate their professionalism and the care they took in order to make sure our wedding day was complete. Thanks guys! 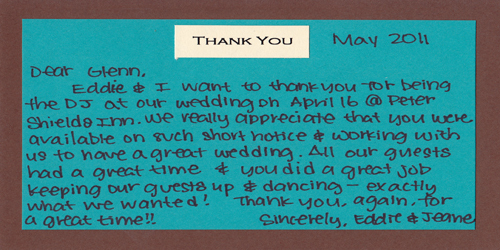 Lina and I would like to thank you for your part in making our wedding a memorable event. We couldn't have asked for a better DJ than Mike. He was awesome. Thank you! Thank you so much for making our wedding perfect! 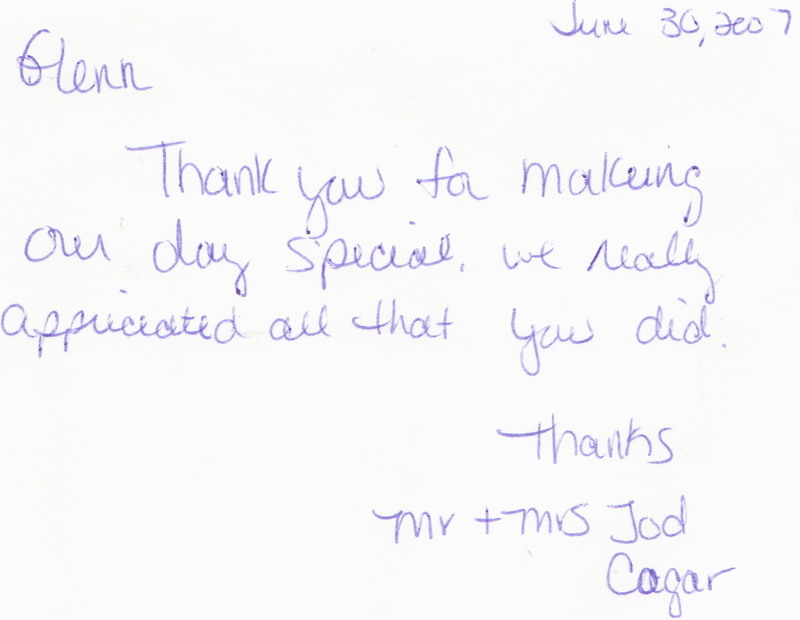 You took care of every detail, most things we didn't even think about beforehand. Everyone had a wonderful time thanks to your professionalism and enthusiam. Please feel free to use us as a recommendation!